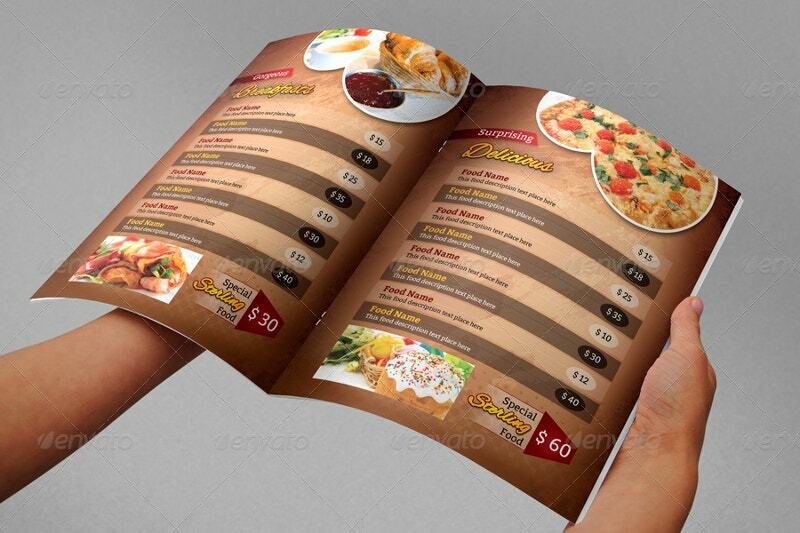 For any restaurateurs, brochures are an unavoidable stuff. 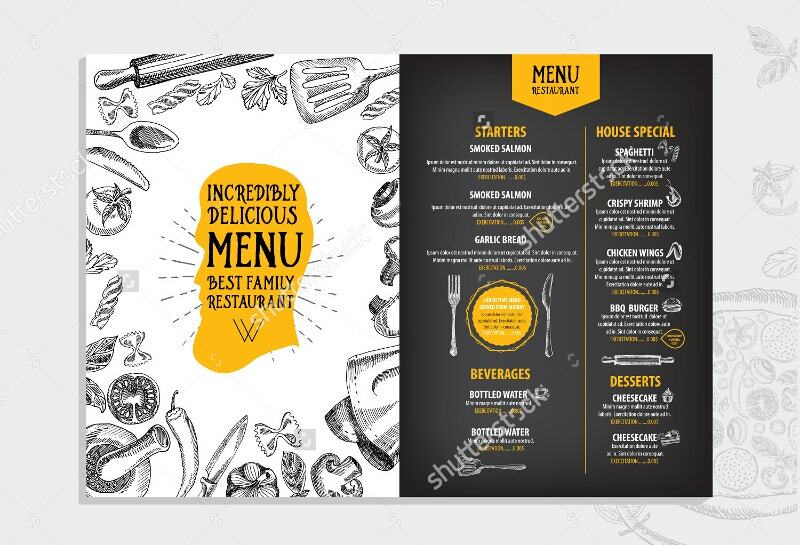 The carryout or takeout menu not only indicates the list of their delicious edibles but also titillates the voracious appetite of food lovers. 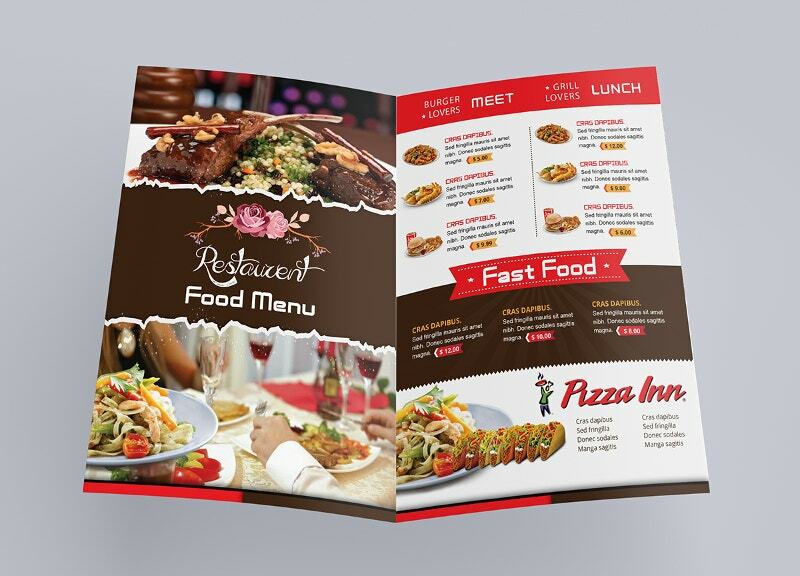 Our chilly designs with the proper combination of colors ignite the gluttony of your customers. 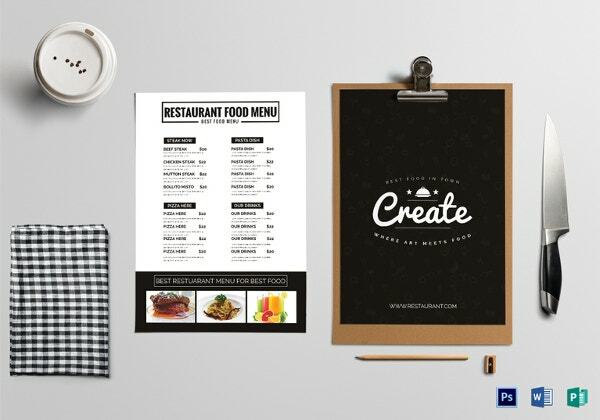 Be it a branded hotel, a food chain, or a motel – we have designs for you. 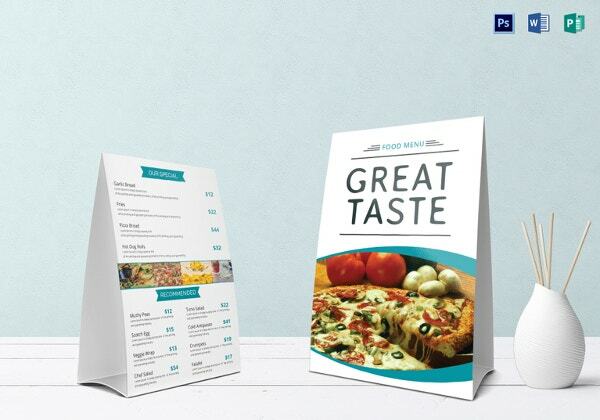 If yours’ is a small startup, our designs are sheer money savers. 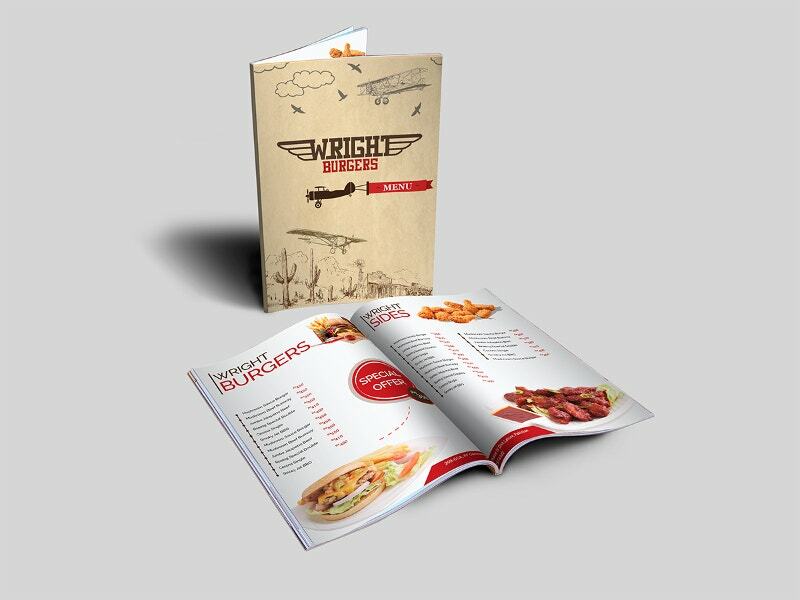 A take off to the food world. 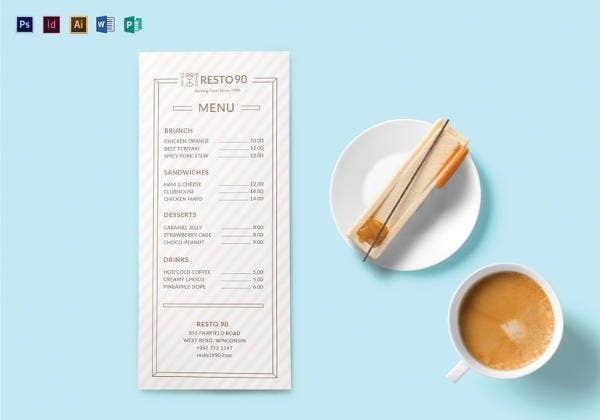 The cover sheet of this menu symbolizes the same. 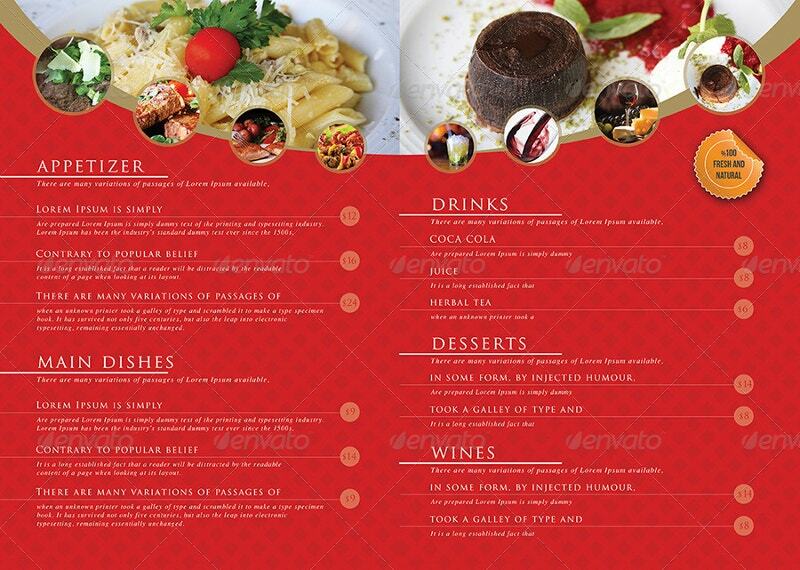 The menu with a variety of food items is intended to stimulate the appetite. 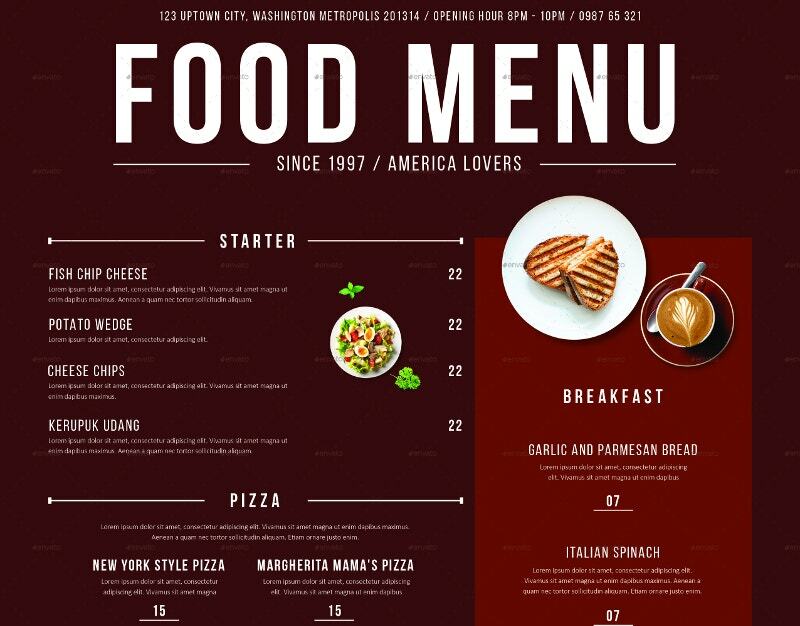 This Awesome Restaurant Menu Design is good to sell your hand-baked items. 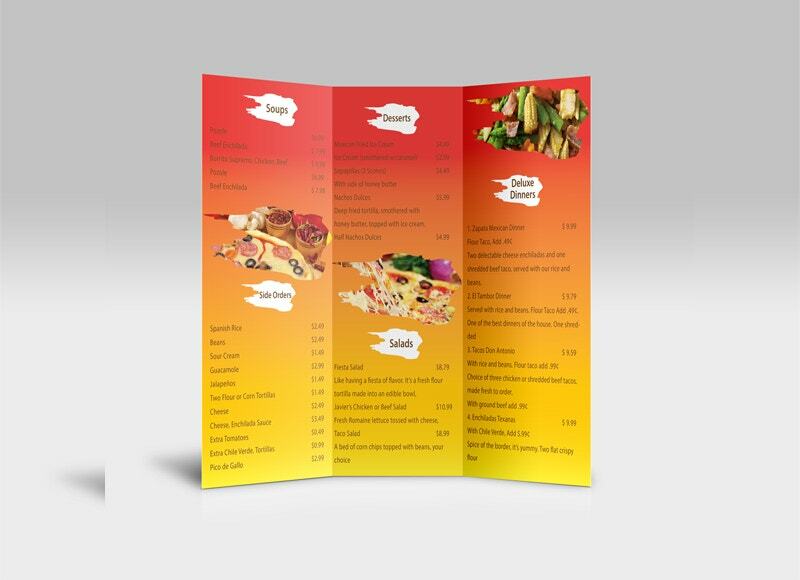 Take this for your Menu designs. 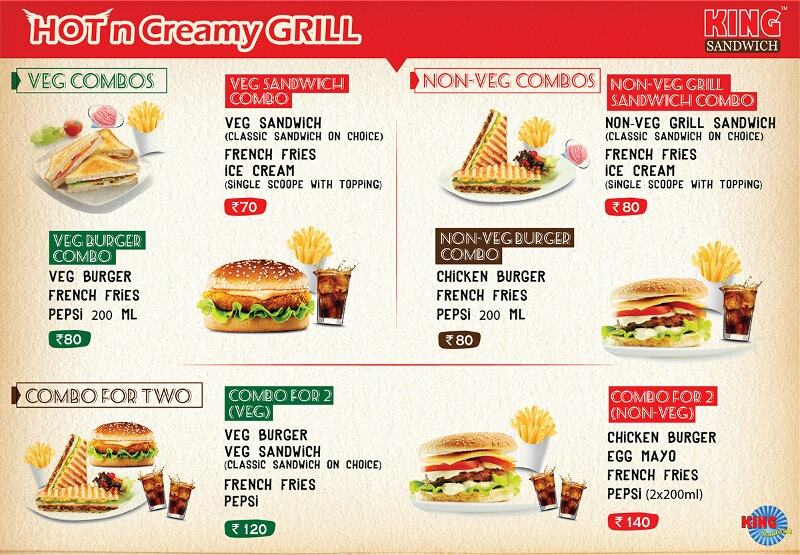 These Sugar coated and fried items in the above image let the foodies devour their confectionery. 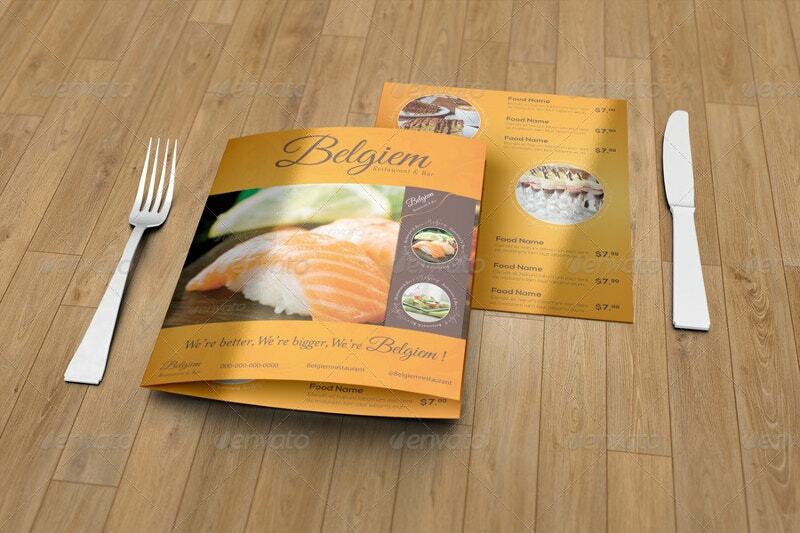 Another Restaurant Flyer Template with scrumptious and succulent images. 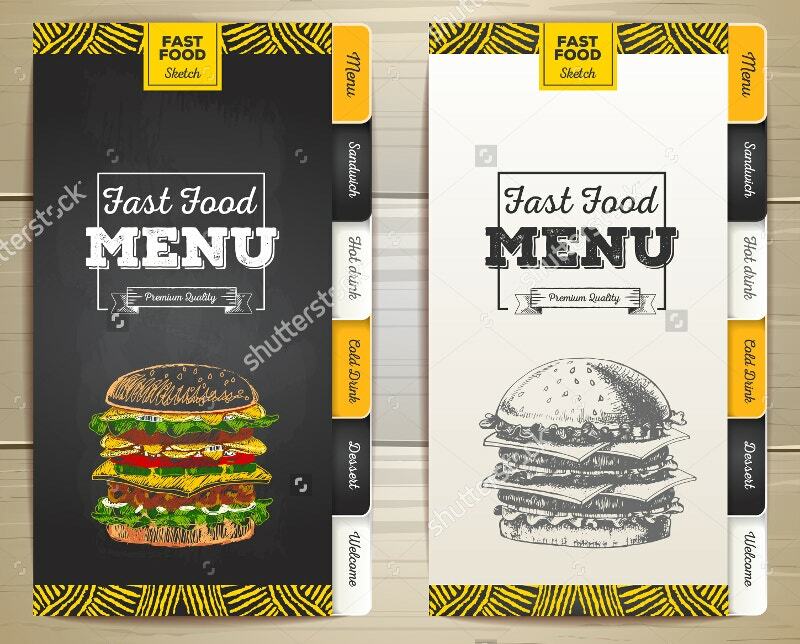 Now that people are considering fast food items as great food items, many are designing the menus on the same lines. 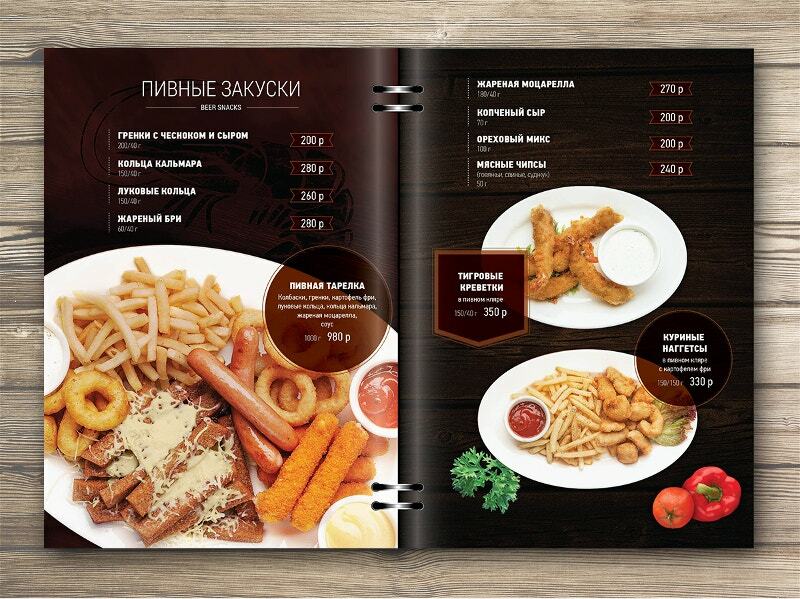 This Restaurant Food Menu comes with some mouth-watering items for Team Lunch and Dinners. 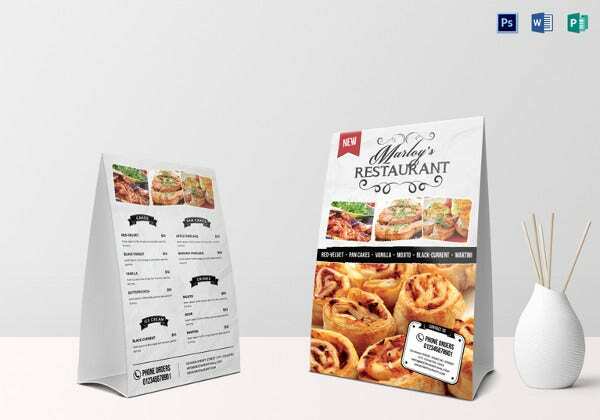 You can add some evening snack items and use it for your fast food corner. 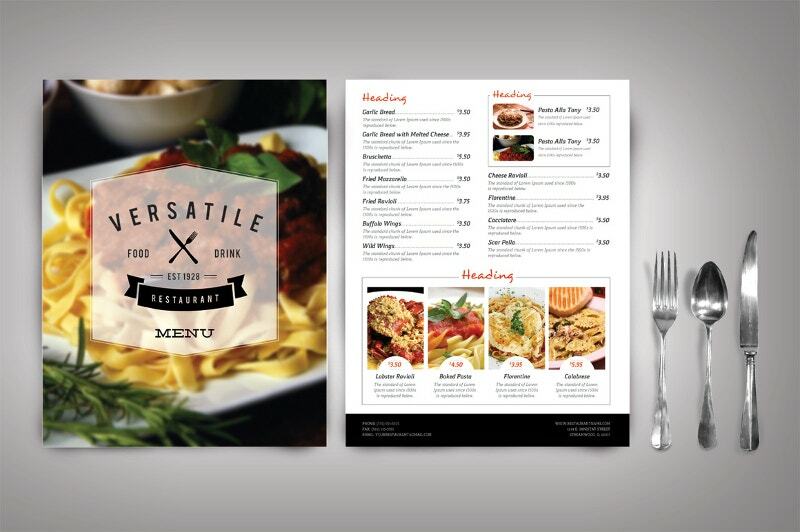 The image with a fork, spoon, and a knife along with the menu definitely encompasses your menu requirements. 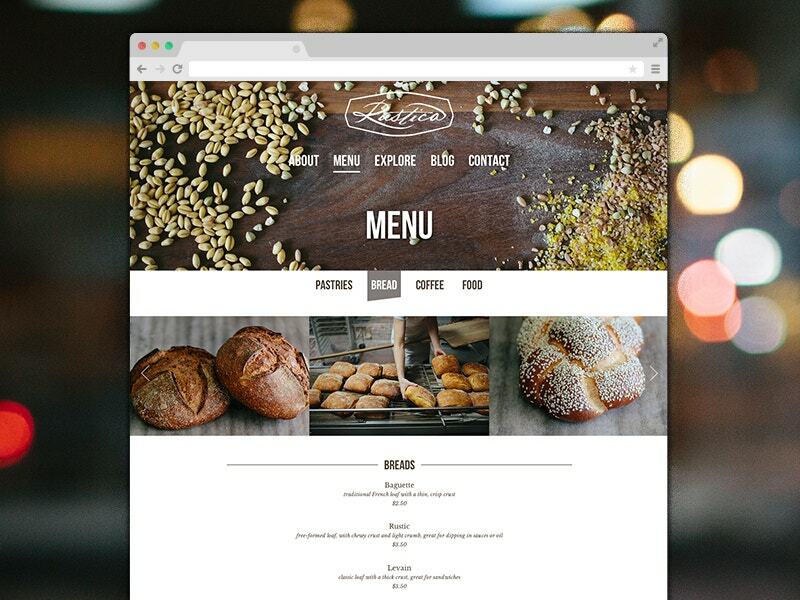 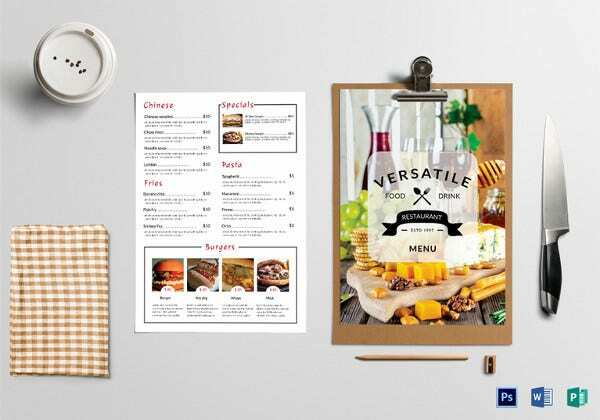 If you want to give a clue about your culinary cuisines and continental dishes, this menu template works as a perfect starter. 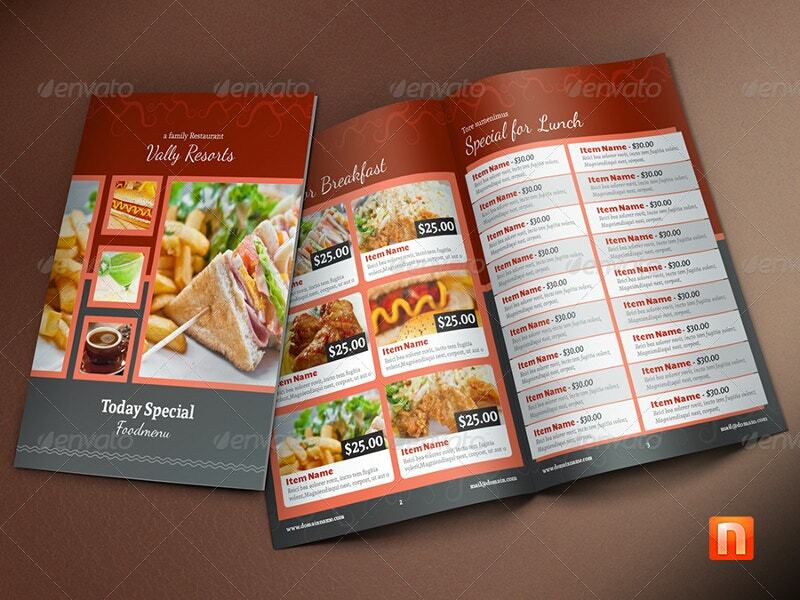 Do you know why most restaurants prefer red color for their menus? 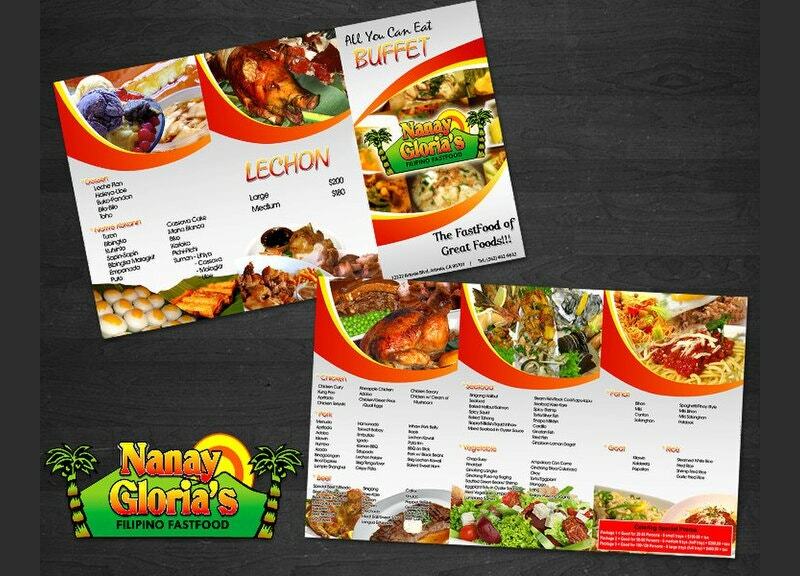 Because it stimulates the hunger. 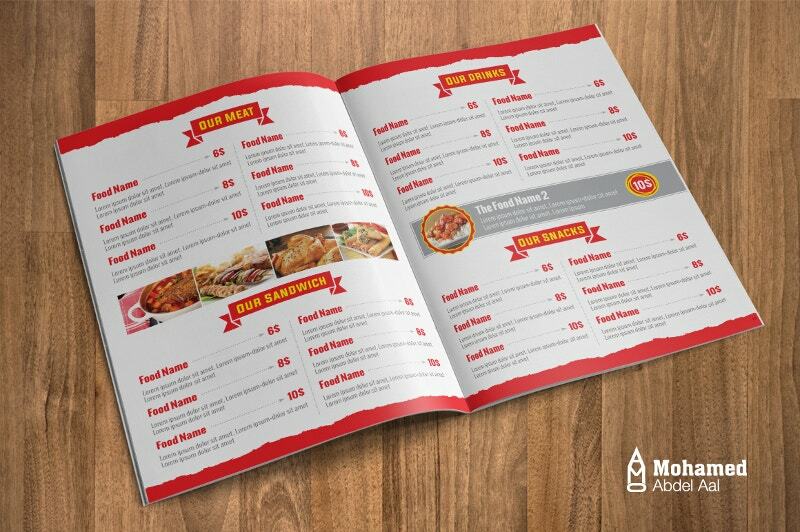 This menu imbibes the same ideology and has thus painted the list of food items red. 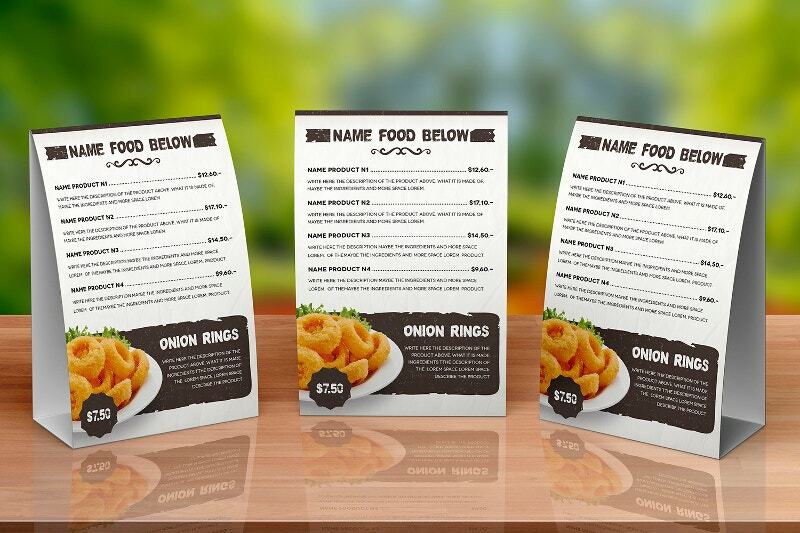 Here is a menu design for pubs and restaurants. 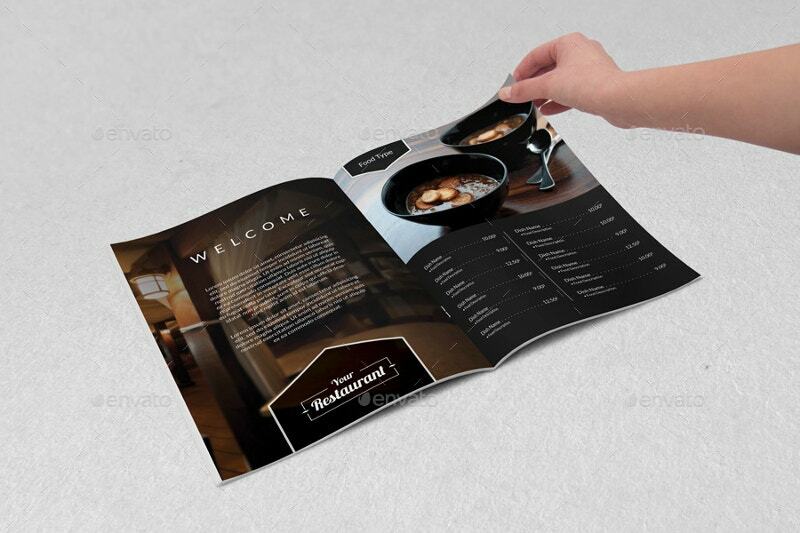 On an oak wood background, this spiral bound menu has a reindeer on its cover page along with some nice letterings. 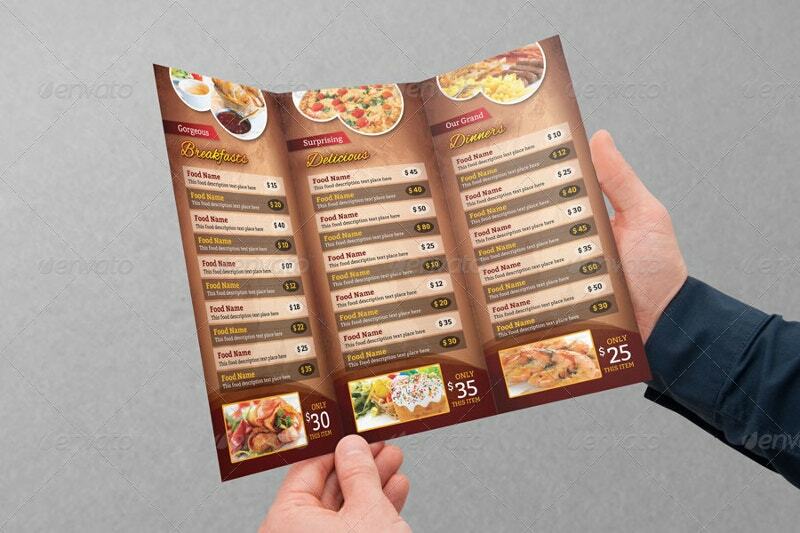 A chef carefully applying sauce to the food items. 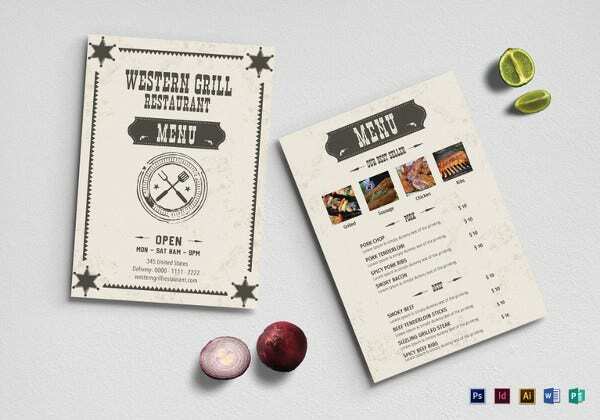 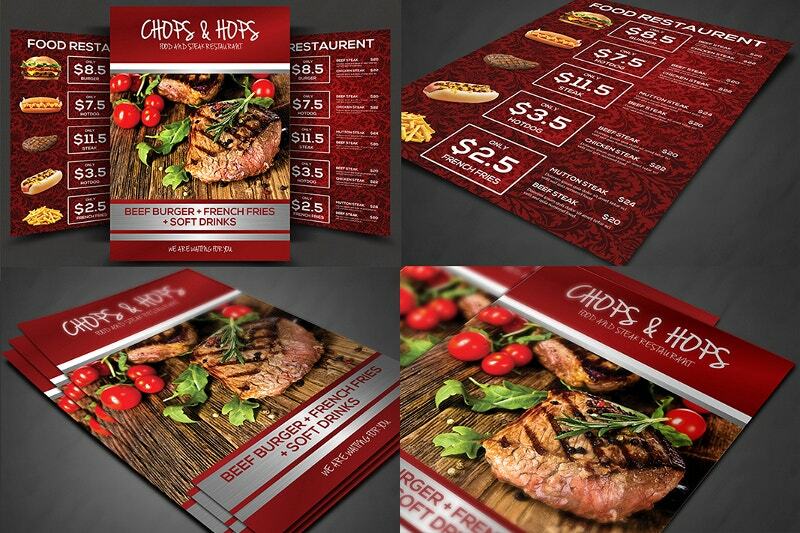 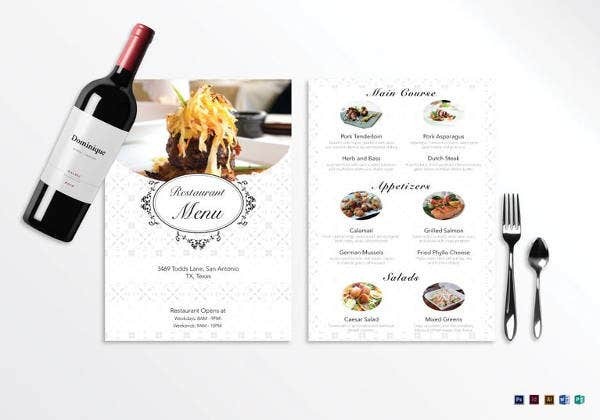 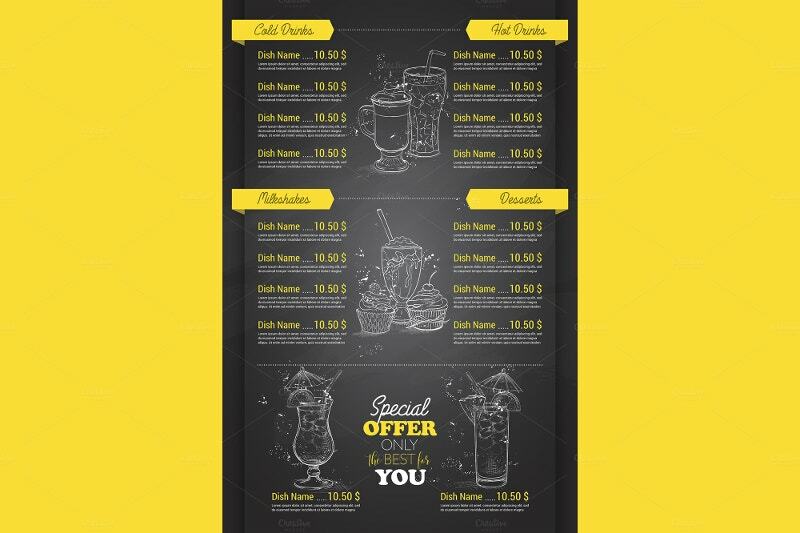 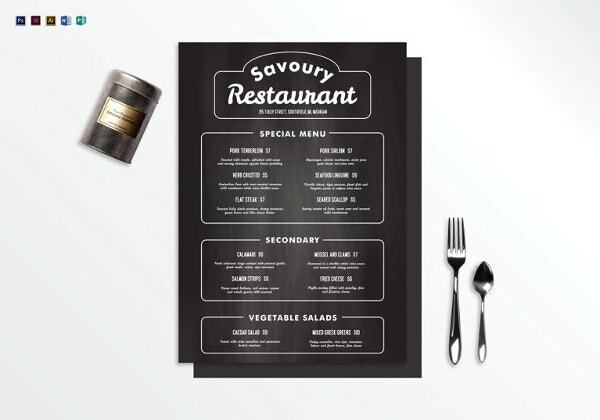 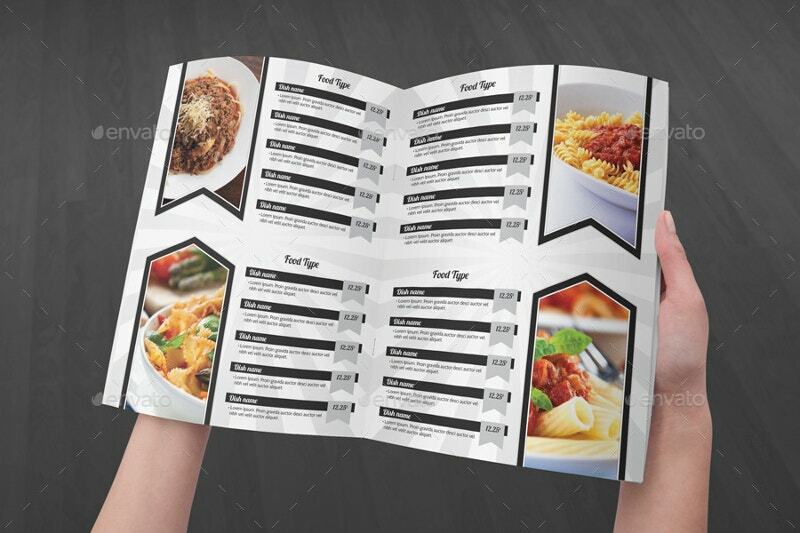 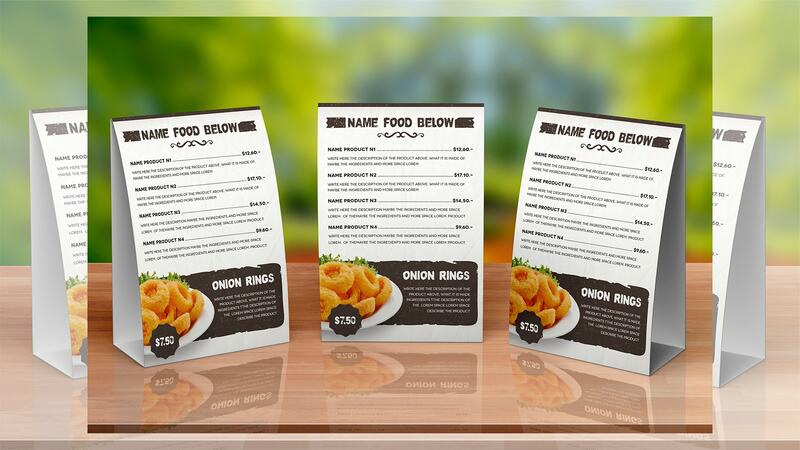 This 8.5×11 sized six-page Food Menu Template comes with 300 DPI and is ready to print. 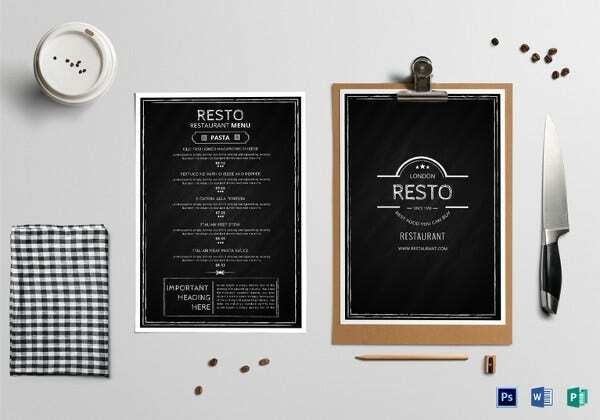 Get the PSD right now! 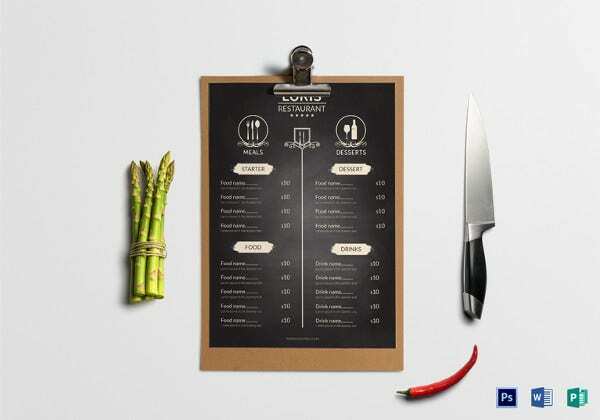 The aim of the article is to introduce the hoteliers and restaurateurs to the variety of menus available in the market. 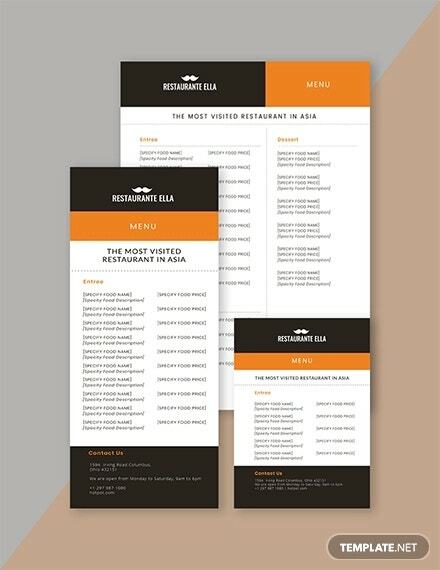 If you are looking for a simple menu filled with plain text, we have them as well or if you want the menu and business card separately, the menu designs will do that too. 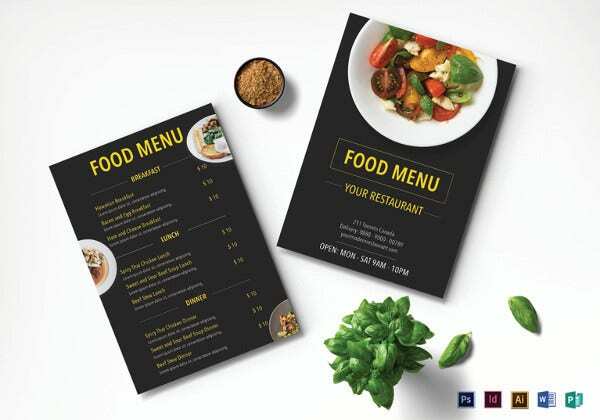 Besides the feel good factor, the designers are mindful of the details such as prices and address.